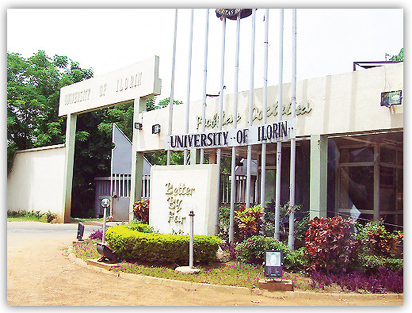 The University of Ilorin says its security operatives have arrested three suspected miscreants who have been terrorising the university community for some time now. According to the University of Ilorin Bulletin issued on Monday, the arrest was made on Feb. 22 after the University Security Patrol Team raided the hoodlums while operating in one of the lecture rooms of the university. The publication stated the miscreants had since been handed over to the police. Reacting to the development, the Sub-Dean, Student Affairs, Dr Alex Akanmu, said that the University community has been witnessing cases of robbery by miscreants for some weeks now. “The miscreants have been coming through the back route of the University, especially at night, to attack students reading in the classrooms with the aim of stealing their belongings like phones, laptops and other valuables. Akanmu assured the students of adequate security, adding that the gang members had been handed over to the police and that all the stolen property of the students had been recovered and returned the owners. He praised the university’s efforts in improving security measures to ensure that lives and properties of members of the university community were adequately protected. Akanmu said that measures were in place, such as the Off-Campus Hostel Management System (OHMS), which made it possible for students staying off campus to call the Student Affairs Unit or Security Office in case of any emergency and regular patrol by the university security operatives. He advised students living off-campus to always report any harassment to the Student Affairs Unit. Akanmu advised the university community members to be vigilant and should not hesitate to provide vital information that would assist the unit and the security personnel in ensuring that the university community was well protected.